You might think of Bitly simply as a service that shortens links for your Twitter feed. 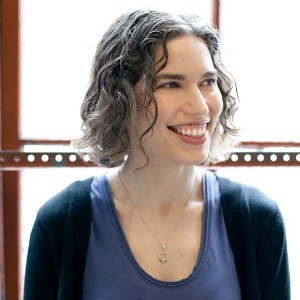 But to Hilary Mason, the company’s chief scientist, Bitly is building a fresh new way to know what’s going on in the world. The company–which shortens 80 million URLs every day–is working on a trove of new ways to mine that data. With its new search technology, for instance, it’s studying and classifying every URL it shortens to index the most viral content on the web. The company recently rolled out a reputation monitoring service based on this data, which the company says acts as an “early warning system, designed to alert you in realtime to swings in volume and sentiment related to specific keywords,” essentially allowing customers to monitor what people are and will be saying about products, brands, or any topic on social media. Instead of a backward-looking view like you might get from a clipping service, Bitly is attempting to project where the conversation is headed. And unlike search–which might return, say, an official company website or a Wikipedia page–the Bitly service uncovers sites and conversations that haven’t yet achieved a high pagerank (or any pagerank, for that matter). Click play on the video below to learn more about Bitly’s mission and what inspires Mason to keep innovating.